©1998-2017 Gordon Feinblatt LLC. All Rights Reserved. These legal terms and disclaimers govern your use of the Gordon Feinblatt website and may be modified at any time in Gordon Feinblatt’s sole discretion. This website is provided for general information only and may be modified, suspended or removed at any time. While Gordon Feinblatt tries to update and maintain the accuracy of information on the website, it may not reflect the most recent legal developments and therefore may contain errors or omissions. Website materials are never a substitute for consulting directly with respect to your specific legal needs in the applicable state. Never rely on articles or other website materials for your personal matters. You should always consult an attorney with respect to your particular situation. Gordon Feinblatt disclaims all liability for content and any action you may take or do not take in reliance on material found on this website. Links. The website may include links to websites owned or operated by third parties who are not affiliated with Gordon Feinblatt. These links are provided for your convenience only. Gordon Feinblatt has no control over any material posted on third party websites and does not recommend or endorse third party content, products or services. Gordon Feinblatt disclaims all liability for any injury or damages incurred resulting, directly or indirectly, from any use of or reliance on materials located on third party websites as well as any actions taken by such third parties as a result of your visit to their websites. No Attorney-Client Relationship. Website visitors do not become clients of ours simply because they may have communicated with us through the website or other means or even received a response. Nothing included in this website or in any communication with us, whether by telephone, email, text message or other means, should be construed as confidential or creating an attorney-client relationship between Gordon Feinblatt. We are not your attorney unless and until we both sign a written engagement agreement. Licensure. Although this website is accessible throughout the United States as well as globally, most Gordon Feinblatt attorneys practice law primarily in the mid-Atlantic region in general and Maryland in particular. Our attorneys are only authorized to practice law in those states in which they have gained admission, subject to limited exceptions. Professional counsel in the applicable state or jurisdiction should be sought to address specific questions or situations. Confidentiality. Gordon Feinblatt safeguards the confidentiality of, and does not disclose, information about existing clients or their legal matters. Please understand that any information sent to us through any means by anyone who is not an existing client is not confidential or privileged and may not be returned to you. Neither the internet nor email is secure means of transmitting material. Therefore website visitors and existing clients should never send personal or confidential materials through the website or via email; such transmissions are at your own risk. Gordon Feinblatt disclaims any liability for disclosure, whether inadvertent or intentional, unauthorized use and any other damages arising out of transmissions through the internet, this website or via email. Advertising; Solicitation. Nothing in this website shall be deemed a solicitation or the provision of legal advice or a legal opinion. Our website may provide information on results achieved in certain legal matters. Everyone’s particular legal situation is different. The facts and other circumstances of one matter, while similar to yours, should not be taken to mean that similar results would be achieved in your case. Prior results achieved in one matter do not predict or guarantee a similar outcome in subsequent cases. 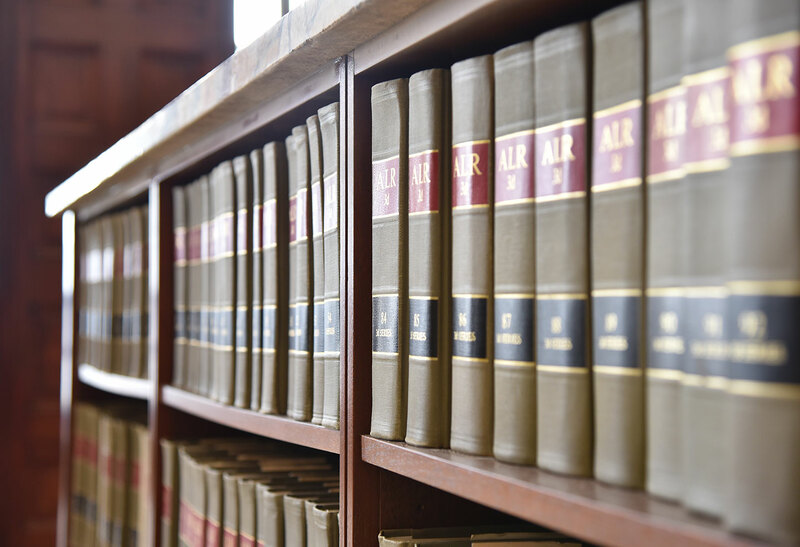 This website may constitute a communication, solicitation or advertising under the professional rules governing attorney conduct in certain states in which some of our attorneys may be licensed to practice law. Please understand that you should never base a decision to engage us to provide you with legal services on anything contained on this website or any other advertisement. Website and Content Ownership. All material found on this website is owned by Gordon Feinblatt and may be used by you only for your personal, and not any commercial, purpose. Any other use is expressly prohibited without our prior written consent in each instance. Last Updated in February 2017. 1. Personal Information. During your interactions with the site, Gordon Feinblatt may request personal information from you. The only personally-identifiable information we will collect and store about you is information that you decide to provide to us. We collect and store information you provide when you provide it in a message to us. Gordon Feinblatt currently does not use personal information other than to process your request to notify you of pertinent information and for record-keeping purposes. Gordon Feinblatt does not make any visitor-provided information available to third parties. 2. Other Information. Gordon Feinblatt may use server logs to record a visitor's Internet Protocol (IP) address and to collect general information about the visit to the site, such as the time and length of the visit, and the web pages accessed during the visit. Gordon Feinblatt may use this information for site management and performance monitoring only. Gordon Feinblatt does not make any of this information available to third parties. 4. Children. The site is a general audience site which is neither designed nor intended to collect personal information from children who are under the age of 13. In order to ensure compliance with the provisions of the Children's Online Privacy Protection Act, children under the age of 13 should not provide any personal information to the site. 5. Security. To prevent unauthorized access to your personal data, maintain data accuracy and ensure the correct use of information, Gordon Feinblatt has put in place commercially reasonable physical, electronic, and managerial procedures to safeguard and secure the information we collect through this site. However, we cannot guarantee the security of your personal information. 6. Extranet Registration and Password. Clients who are Extranet users are responsible to maintain the confidentiality of their password. Clients shall immediately notify us of any unauthorized use of their registration, user account or password at the following address: Gordon Feinblatt LLC, 233 E. Redwood Street, Baltimore, MD 21202; Phone: 410-576-4000; Fax: 410-576-4246; E-Mail info@gfrlaw.com. 1. Attorney-Client Privilege. Certain communications between clients and their attorneys are protected by the attorney-client privilege. Gordon Feinblatt treats the information and documents on the GFR Extranet as it would other legal documents or information. Consequently, you should not share documents or other information extracted from the GFR Extranet with third parties, access such confidential information in a public forum or take any other action that could waive the attorney-client privilege with respect to information or documents on the GFR Extranet. 2. Purposes. You agree to use the GFR Extranet for internal legal and business purposes only and not for any commercial use. 3. Security. Gordon Feinblatt is providing access to the GFR Extranet to you via a password-protected web site. Certain materials made available to you via the GFR Extranet may be protected by the attorney-client privilege and/or the attorney-work product doctrine. We will assign a user identification and password to individuals as requested by you and authorized by Gordon Feinblatt. You are required to notify us when an individual is no longer authorized to access the GFR Extranet. You agree to protect passwords or other Gordon Feinblatt authentication. You must not provide anyone else with access to your username or password and you may not provide third parties with access to the GFR Extranet (i.e. sharing passwords). You will not access or attempt to access, view, modify, copy or disclose any files or data for which you do not have specific permission from Gordon Feinblatt. You will report any unauthorized use of the GFR Extranet to Gordon Feinblatt. You agree to comply with reasonable requests from Gordon Feinblatt necessary to maintain the GFR Extranet and network security. You understand and acknowledge that we may restrict or deny access to the GFR Extranet in the event of a compromise of the security of the GFR Extranet or for any other reason, in our sole discretion. 4. Protection of Software and Technology. You agree not to copy, modify, rent, lease, loan, sell, assign, distribute, reverse engineer, grant a security interest in, or otherwise transfer any right to the technology or software underlying the GFR Extranet. You agree not to modify the software underlying the GFR Extranet in any manner or form or to use modified versions of such software, including, without limitation, for the purpose of obtaining unauthorized access to the GFR Extranet. You agree not to access the GFR Extranet by any means other than through the interface that is provided by Gordon Feinblatt for use in accessing the GFR Extranet. 5. User Submissions and Use Restrictions. You are responsible for communications and information you post to the GFR Extranet. You will not (i) transmit or post material that is copyrighted, unless you are the copyright owner or have the permission of the copyright owner to post it; (ii) send material that reveals trade secrets, unless you own them or have the permission of owner; (iii) send any material that infringes on any other intellectual property rights of others or on the privacy or publicity rights of others; (iv) send material that is defamatory, libelous, obscene, pornographic, profane or threatening to any other person or entity; (v) send unlawful materials or any materials that could constitute or encourage conduct that would be considered a criminal offense or give rise to civil liability, whether under statute, common law or equitable principles, or otherwise violate any law or (vi) use the GFR Extranet in any manner that violates any applicable laws, regulations, orders or other restrictions. 6. Ownership and Intellectual Property. The GFR Extranet, including all text, logos or graphic images appearing therein, is protected by copyright, trademark, patent, trade secret, and other laws. The GFR Extranet is the property of Gordon Feinblatt and/or third party licensors, and all right, title and interest in the GFR Extranet shall remain with Gordon Feinblatt and/or such third party licensors. Nothing in these Terms transfers any rights to you or any third party except as expressly set forth herein. 7. Changes to Terms. Gordon Feinblatt reserves the right to change these Terms at any time at its sole discretion and without notice to you. All Terms changes are effective immediately. Your continued use of the GFR Extranet following any Terms changes will mean you accept those changes. 8.1. Restrict, suspend or terminate your access to all or any part of the GFR Extranet service. 8.2. Change, suspend or discontinue all or any part of the GFR Extranet service. 8.3. Refuse, move or remove any material submitted to the GFR Extranet. 8.4. Refuse, move or remove any content that is available on the GFR Extranet. 8.5. Establish general practices and limits concerning use of the GFR Extranet. 9. Limitation of Liability. Gordon Feinblatt has security measures in place to maintain the safekeeping of information exchanged over the GFR Extranet. As an internet-based system, however, the GFR Extranet may be subject to viruses or unauthorized access. While Gordon Feinblatt attempts to reduce the risk associated with the GFR Extranet, access and use of the GFR Extranet is at your own risk. Gordon Feinblatt does not warrant that the GFR Extranet will operate error-free or that it or any of Gordon Feinblatt's servers are completely free from computer viruses, contamination or other harmful or destructive features. If your use of the GFR Extranet results in any cost or expenses, including, without limitation, the need for servicing or replacing equipment or data, Gordon Feinblatt shall not be responsible for those costs or expenses. While the GFR Extranet is a special service provided to Gordon Feinblatt's clients, the underlying software is licensed from a company distinct and separate from Gordon Feinblatt. As such, Gordon Feinblatt acts as a medium and in any sense that Gordon Feinblatt actually "provides" the GFR Extranet for your use, it is provided on an "AS IS," "AS AVAILABLE," and "WITH ALL FAULTS" basis without any warranties of any kind. Gordon Feinblatt, to the fullest extent permitted by law, DISCLAIMS ALL WARRANTIES, including without limitation THE WARRANTY OF MERCHANTABILITY, NON-INFRINGEMENT OF THIRD PARTY RIGHTS, WORKMANLIKE EFFORT, ACCURACY, TITLE, QUIET ENJOYMENT, NO ENCUMBRANCES, AND THE WARRANTY OF FITNESS FOR A PARTICULAR PURPOSE. Without limiting the generality of the foregoing, Gordon Feinblatt makes no warranties as to the availability or recoverability of data, information, documents, or any other records stored on or submitted to the GFR Extranet and makes no warranty that the GFR Extranet will meet your requirements, that it will be uninterrupted, timely, service or error free, that any materials you obtain from the GFR Extranet will meet your expectations or that any errors will be corrected. 10. LIMITATION OF DAMAGES. In no event shall Gordon Feinblatt be liable for any damages whatsoever (including but not limited to, INCIDENTAL, CONSEQUENTIAL, INDIRECT, OR PUNITIVE DAMAGES (including lost profits, opportunity costs, or damages resulting from business interruption or lost data), arising from, relating to or resulting from your use of or inability to use the GFR Extranet, whether such claim is based on contract, tort (including negligence), warranty, strict liability, or any other legal theory, and whether or not Gordon Feinblatt is advised of the possibility of such damages.